When Hurricane Florence battered the Carolinas in September, Dazia Lee’s tragic story made national headlines. Thinking the storm had passed on Sept. 16, the 20-year-old Lee headed out to her grandmother’s house with her 1-year-old son, Kaiden, strapped in his car seat. The drive took a tragic turn when a flash flood overcame the car, and as Lee tried to escape with her toddler, she lost him to the surging floodwaters. On Monday, Union County, N.C. Sheriff’s office charged Lee with involuntary manslaughter for the death of her toddler, and for driving on a closed or unopened highway, the Washington Post reports. If convicted, she could spend 13-16 months behind bars. The Charlotte-Mecklenburg branch of the NAACP quickly spoke out against the charges, saying the decision to punish Lee appears racially motivated. “She was attempting to get her child out of the car, not to have her child die, and to charge her on top of the fact that she is in mourning for the rest of her life, that represents implicit bias, insensitivity, and even racism,” Corine Mack, president of the NAACP chapter, told the Post. In an earlier interview with the Post shortly after her son’s death, Lee said she drove past the barricades after seeing other cars emerging from the same road. 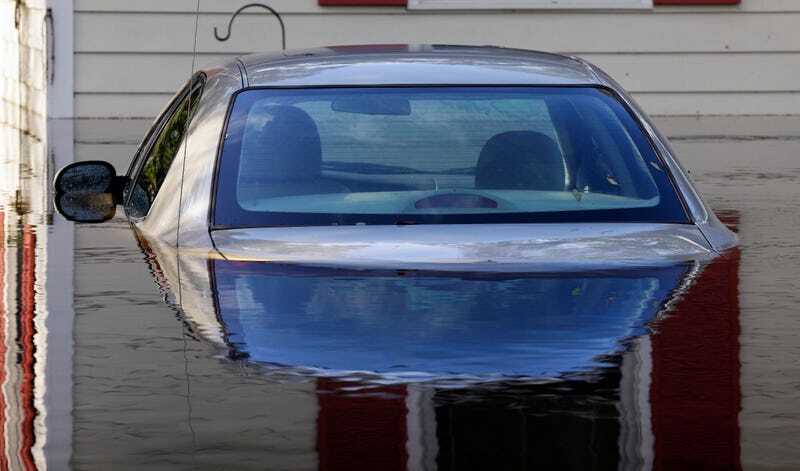 But once she drove past the orange barrels, a surge of water hit her car. She gripped Kaiden to her chest, writes the Post, before the powerful flood waters pulled her son away. Kaiden’s body was found the next day. But Mack notes that two N.C. sheriff’s deputies transporting two mental health patients who ended up drowning in the storm were not charged with those deaths (though they were eventually fired). “Black men and women are disproportionately arrested and charged for similar infractions of white citizens who are not arrested or charged,” Mack said.